"Yoga is a light, which once lit, will never dim. The better your practice, the brighter the flame." 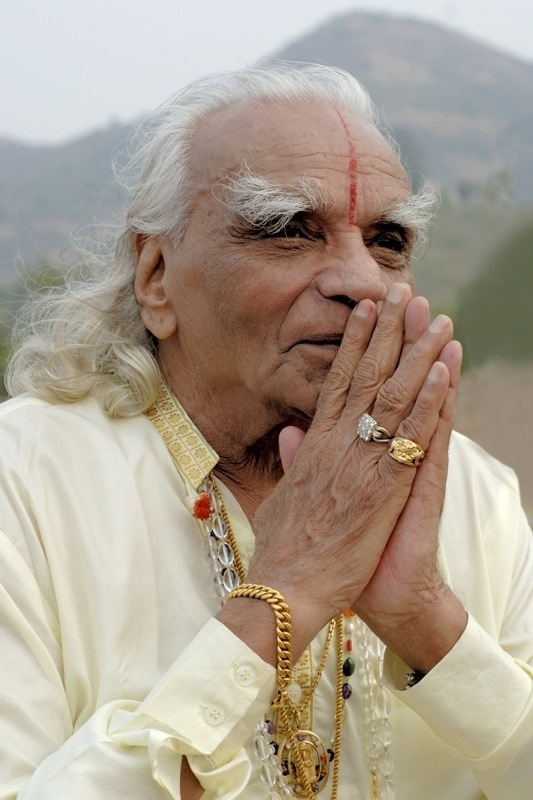 Bellur Krishnamachar Sundararaja (BKS) Iyengar was born on December 14, 1918. Guruji was a victim of malaria, typhoid and tuberculosis in his childhood . At the age of 16 he was introduced to yoga by his Guru Sri T. Krishnamacharya. At the age of 18 he was sent to Pune by his guru to teach yoga. He married and founded a family with his wife Ramamani. In 1975 he established the Ramamani Iyengar Memorial Yoga Institute (RIMYI). Guruji was a sincere and committed practitioner. His own practice helped him to explore and achieve perfection in yoga asanas. He discovered through self-study how subtle movements not only complete an asana but give it a new quality and dimension. The precise, detailed work on the body gives the body an inner dynamic. For Guruji yoga was a philosophy, science and art at the same time. For his own practice and teaching, he developed props, such as belts, pads, chairs, ropes or benches, which help in the practice of the postures.